The Clinker production line at Royal Cement factory in Minia suffered from two successive stops due to the failure of the fan. 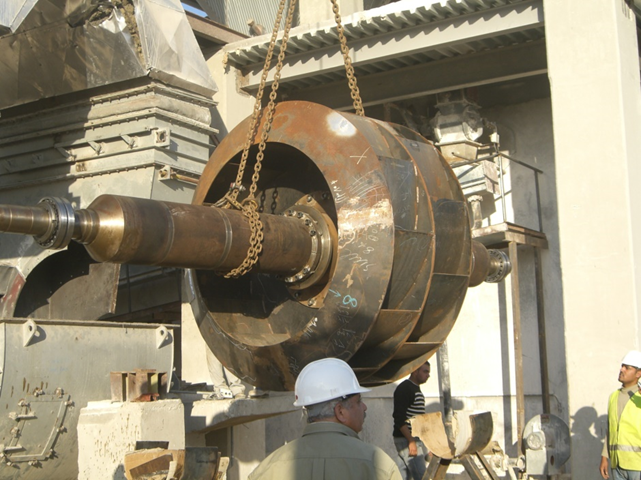 The failure occurred at the bearings and was attributed to excessive vibrations in the rotor shaft. 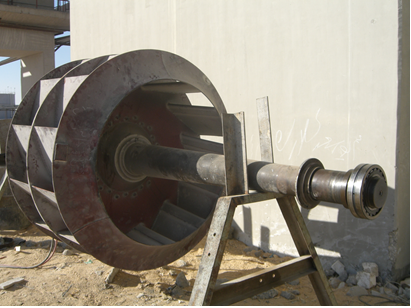 The rotor was analyzed and it was decided to modify the original rotor with a modified one which reduced the vibrations extensively.